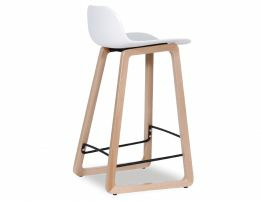 The Siloh Kitchen and Bar Stool is a delightful stool that features very contemporary and well put together combination of materials making the end product a knock out. 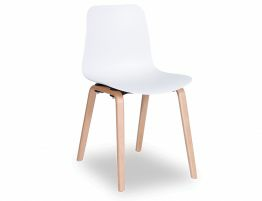 The detailed combination of a white ABS plastic seat allows comfort and durability to be on the forefront of the overall contemporary design. 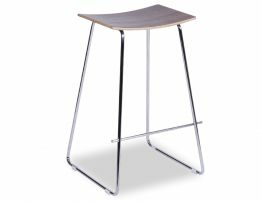 The ABS plastic is labeled as one of the toughest of materials making any impact most resistant today. 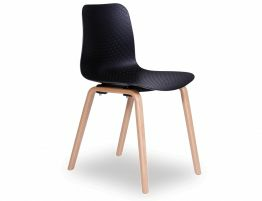 With its mid back, you are able to sink into the fold and rest admiring the textured patterned details that features on the seat. 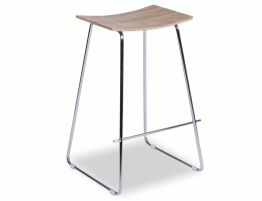 The Siloh Kitchen Bar Stool is boasting the most elaborate detailing when it comes to the frame work as the natural wooden base is of a curved structure with smooth precise edging. 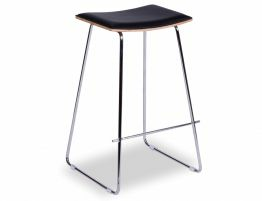 The contrasting black steel footrest makes for an impressive contrasting detail. 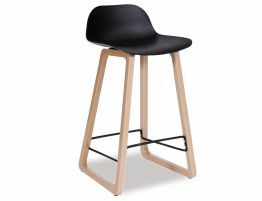 You wont be disappointed with such an opulent well put together stool.